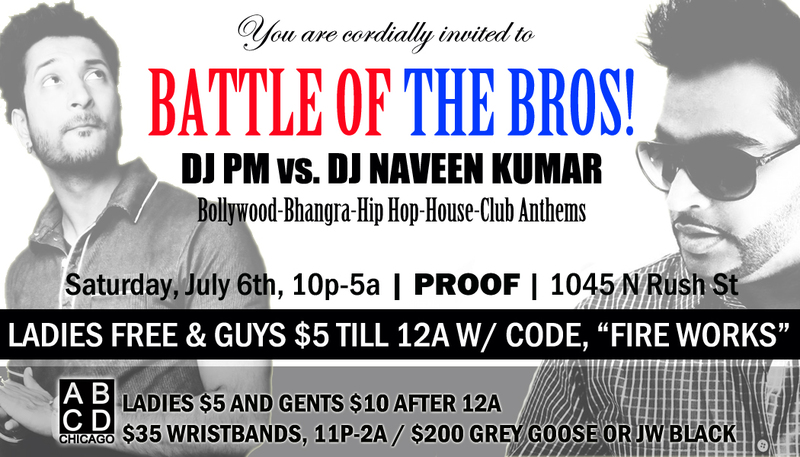 ABCDchicago: Battle of the Bros! Ladies FREE till 12a and Guys $5 till 12a w/ password "Fire Works"
21 to enter. Valet parking available.